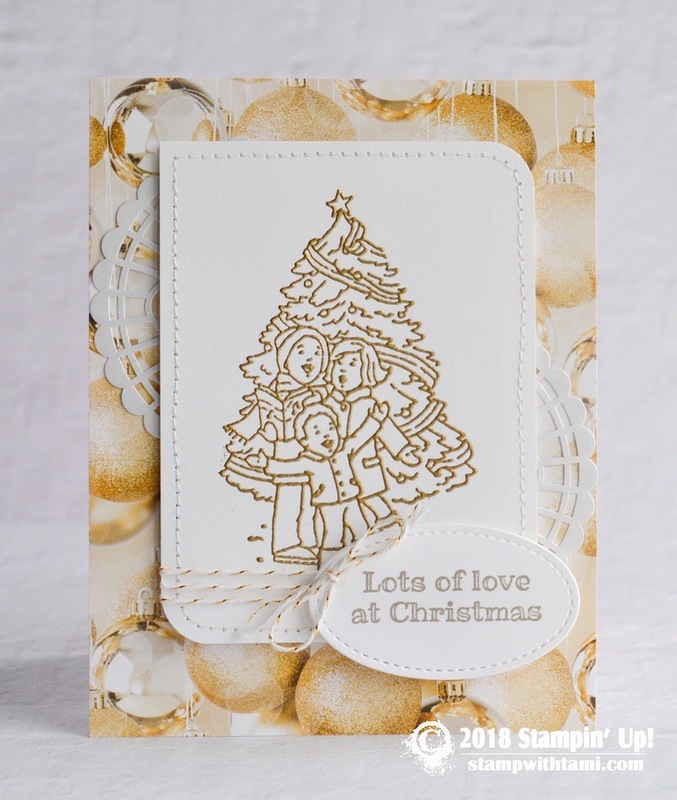 Lots of love at Christmas card from the Stampin Up Happiness and Cheer stamp set. The image is heat embossed in gold. The words are cut from the Stitched Shapes die. Layered over Pearlized Doilies. The background ornaments are from the All is Bright DSP collection.